The first subject to be discussed amongst the Beastformers Archeology project was Promotion & Advertisement related to the Battle Beasts line based on the period prior or during the release of these figures in the late eighties. 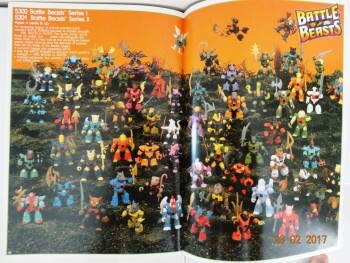 And from this perspective it is pretty obvious that the original Toy Catalogs from Takara and Hasbro are a key element to gain some more insight in exact dates and facts related to out beloved line: Battle Beasts. Although some, if not all, of the Catalogs are of have been out on LRG already they are now shared again and added to the Table of Content of this Beastformers Archeology Projects so they'll be easier to find and access for the future. Our apologies for the fact that from some of the catalogs shown below only pictures are available at the moment but we hope to add scanned material later on. Knowing the Serie 1 Battle Beasts were designed during 1986 there is a big chance a more early 1986 dated Takara Catalogue with Battle Beasts information in it does exist but this is something we have not be able to trace down yet. Looking at the links and images of the Battle Beasts in relation to the Transformers line its clear that Takara unlike Hasbro (later on) decided to introduce the Beasts as part of the Transformers (Autobots / Decepticons) serie. 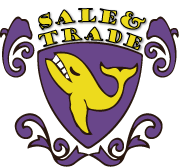 Please have a look in the Topics below, this catalog has been shared by Skullcruncher. 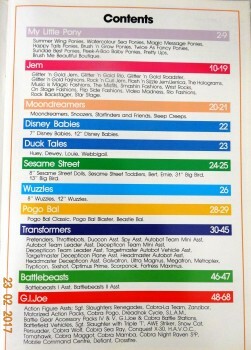 Based on the research it looks like the Battle Beasts line didn't make it into the actuall Hasbro 1988 Catalog which would have been the final release based upon this Pre-Toyfair catalog. 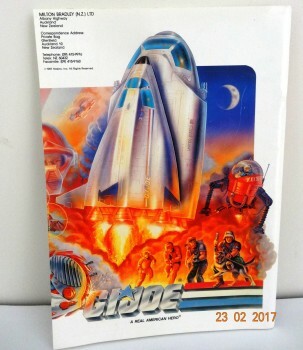 So this might hold the clue for the reason the higher numbered (Japanese only) Laser Beasts and their chariots as shown in this Pre-Toyfair catalogue never made it to the US.... But this is a subject that requires some more investigation by the Beastformers Archeology Team. 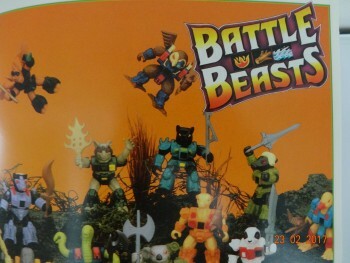 In case you might have any further information or better scans of the files or similar information/catalogs from other countries please share it within this topic or contact one of the Beastformers Archeology Project members so that the information can be checked/discussed and shared to add and clarify another piece of Battle Beasts History! Edited by GJNL, 28 February 2014 - 03:59 AM. How long before someone pops up with some of these rare prototype ones. The yellow Mole, black Tapir, The purple skunk, Pangolin. those figures have to exist somewhere. Not to mention the price on those Drill and Chargers. Edited by Glock, 25 February 2014 - 11:23 AM. Edited by dabbuu, 25 February 2014 - 03:43 PM. So great seeing all of this stuff in one place. Thanks for putting this together man. How much did it go for? Any history on it? The prototypes are another subject which will be discussed and shared/shown in another topic later on so if possible try to keep the focus on the Catalogs out here so the information will expand and remain specificly related to the matter of subject to prevent the mix of info shared all over the place so please try to stick to the subject otherwise the whole arrangement and organisation of the Beastformers Archeology Project will fail. Thanks! Awesome, is this thread just for catalogues or any inserts/promotional material with BB's in them? This specific topic is only for the original Takara Hasbro catalogs (any language) with the first release info on the Beastformers lines in it. We've also been searching and discussing advertisement material which I hope to get up in another topic within the next days so in case you've something to add there please let us know or add it in that particular topic. Thanks! How long before someone pops up with some of these rare prototype ones. My thoughts exactly. There has to be some lying around somewhere. Sorry for my delay, I get easily sidetracked and right now is quite busy in my personal life. 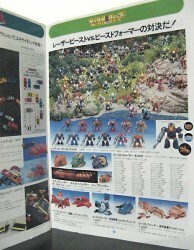 Here is some pics from a takara 88 catalogue. I cannot recall where I grabbed them from. Most likely an auction when I had no money. @Skullcruncher Awesome! Thanks for this addition, I suppose its only one page about the BB? Thats the only photos I saved. Sorry I cant recall anything else. If I had won the auction I could provide more info! 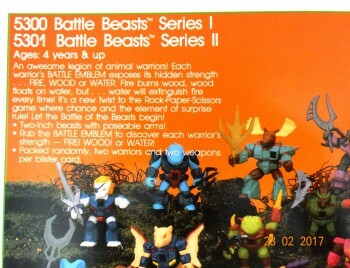 This was the first pic I ever saw of the Battle Beasts when it was used in a contest in the TransFormers comic to win some back when they launched. I've always wondered whether the darker colours on the Carp were a result of lighting or if he was originally intended to be that way. I notice a few of the others have slightly variant colourschemes although only one that I could definitively say isn't down to lighting conditions (red rather than yellow details on the Bison). Hi, is this still ongoing? I just picked up a New Zealand 1988 Hasbro Toy Catalogue and it shows Series 1 and 2 were released there. 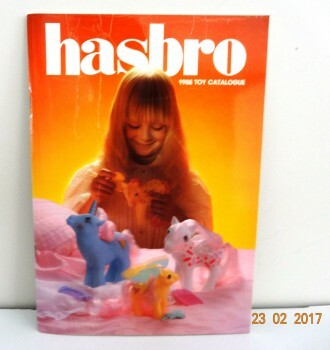 It has the same double paged picture as the Hasbro 1987 one but without the overlays. I can take a couple of photos if interested. Please do! This will always be ongoing as long as there is something new to be seen. Looking forward to seeing what you found. Edited by Shadow Bat, 01 February 2017 - 06:10 AM. Sorry no access to a scanner and my home IP keeps having issues trying to access the site - one day it works the next nothing! 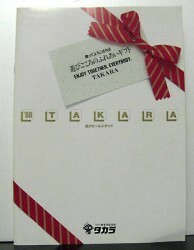 Catalogue has 68 pages. Edited by Skullcruncher, 22 February 2017 - 07:41 PM. And a couple more mentions (inside the front cover and the contents page). I am 99% confident we didn't get any vehicles down here. Edited by Skullcruncher, 22 February 2017 - 07:52 PM. 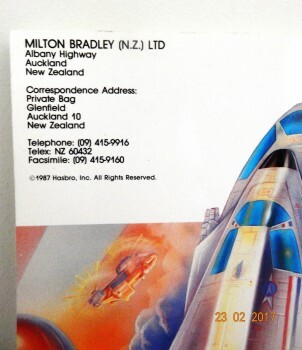 Thanks @Skullcruncher for this useful addition of the 1988 Hasbro Toy Catalogue from New Zealand! 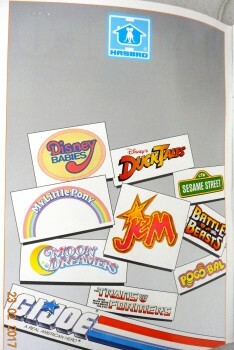 The BB pic they used in here is the exact same one that Hasbro in the US used a year earlier in their 1987 Catalog. ps. @Mods I thought the expiration time of Editing a topic was inactive but I wasn´t able to update the initial first post in this topic anymore? Edited by Beastformers, 23 February 2017 - 02:26 AM. You can only edit so many times, I do believe. It's a board limitation from the software or something of the sort, not a limitation imposed by the board operators themselves. And re-reading glock's comment, I looked at the picture closer. The beaver also looks to have black armour on. Is that just a bad picture, or does it actually have black armour in this picture? Edited by Draznar, 10 March 2017 - 05:10 PM. Considering how the walrus and camel both look cheesier, and the aardvark is on the chocolate side, I'm thinking it's the old-timey photograph. I was thinking about the cheesiness of the Brain Mouse in the US catalog photograph too, but the same photograph in the French catalog looked more like Kraft, than cheddar. That Musky Ox is curiously green though. These were preproduction colors, several series 2 and 3 colors were changed. the Tapir was black, the skunk reversed colors, the aardvark had the color scheme that eventually went to the antelope, the pangolin got darker skin and lighter armor, musk ox was darker skinned and had greener armor and the mole was changed completely. Edited by Shadow Bat, 14 March 2017 - 10:37 AM. Miner Mole too obvious? Black armor ground wolf! Side note: My unofficial opinion declares the pangolin head as the greatest battle beast head (greatest in that it works on virtually any body). Edited by Exactobeast, 05 April 2017 - 12:05 PM. Side note, just spent some solid time looking over skullcrusher's hasbro photo some more. There seem to be actual physical differences beyond simple paint scheme. 1. Look at the flying squirrel arms. Nice catch on the squirrel arms! They have a bottom edge to them! I'm looking at mine right now, and the "wings" end at the wrist. Neat. Double nice catch on the pointer arms on mandrill. I see what appears to be some better definition on leapin' lizard's frill. Not sure if photograph or actual figure difference though. Judging by how much was changed, I wouldn't say it's not a difference though!